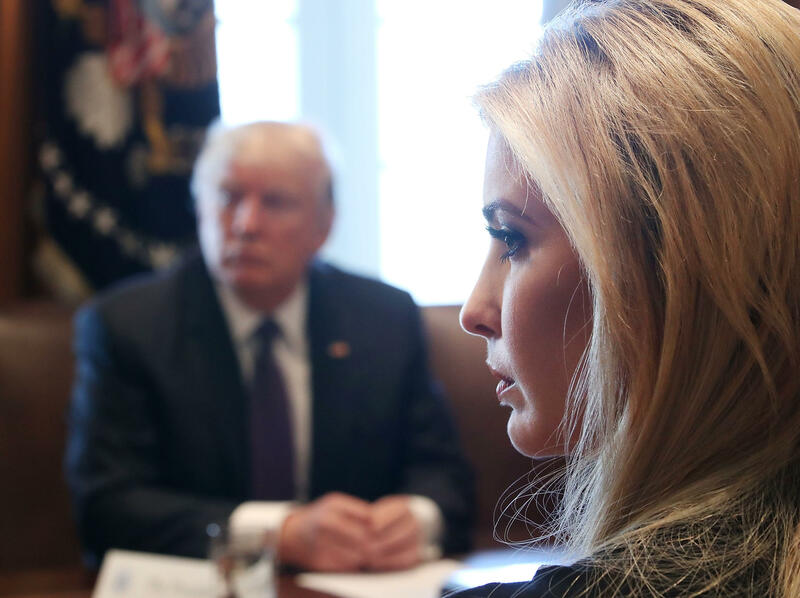 WASHINGTON -- Ivanka Trump, President Donald Trump's eldest daughter and a senior adviser to her father, praised counter- protesters in the wake of violence in Charlottesville, Virginia, and her father's recent controversial remarks, which sparked a wave of backlash against the administration. "It was beautiful to see thousands of people across the U.S.A. come together today to peacefully denounce bigotry, racism & anti-semitism," she tweeted Saturday, following numerous demonstrations across the country against white supremacy. "We must continue to come together, united as Americans!" she added. Trump's comments came days after the president blamed deadly violence last weekend in Charlottesville on "both sides." The day of violence started with clashes at a white nationalist rally. Mr. Trump went on to say last week that there were "very fine people" who had attended the rally -- remarks that were a follow-up to his initial statements on the violence. He received immediate backlash from across the political spectrum for not explicitly denouncing hate groups. Thousands of demonstrators lined the streets of Boston, Massachusetts, on Saturday countering a "Free Speech" rally, resulting in very little property damage and 33 arrests. Mr. Trump tweeted his own reaction to the demonstrations, praising the Boston police force for being "tough and smart" in the face of what he called "many anti-police agitators." He later thanked people for protesting "bigotry and hate."